Elegance products from ELITE. 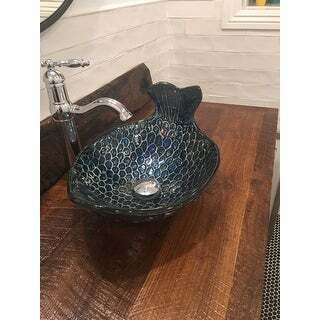 Brand new design from Europe, This glass sink will look fabulous in any bathroom. Brand new technology brings you the modern design style. It is smooth inside. This beautiful bathroom vessel sink is crafted from high-grade tempered glass. This gorgeous fixture is impact-resistant and features a unique hand-painted technology. 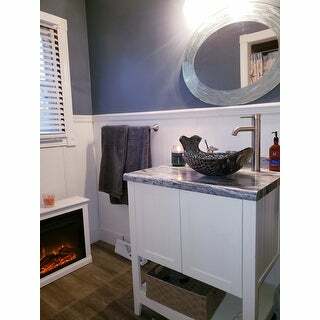 This sink got admiring comments from everybody at our lake cottage open house recently. It is both decorative and practical, being the right size for hand washing and having a push-to-operate drain. The faucet provides a stream at the correct height and angle, and water temperature selection is easy and natural with the one lever control. Installation was straightforward using the supplied instructions and materials and using the recommended tools. A great product! We are putting this in our new home when it's finished. It looks gorgeous. Alao a great value with the included faucet. Wow!!!! 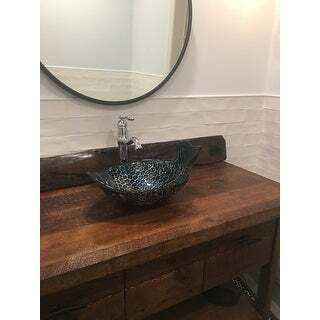 I was so drawn to this beautiful sink for my guest bathroom remodel and it did not disappoint. The photo did not do this sink justice. The price for the sink including the beautiful faucet was unbelievablely awesome! I love this sink and so does everyone else who has seen it thus far! **UPDATE** Finally finished - Miror, sink and fireplace all from Overstock! The picture does not do this sink justice! The color is beautiful I can't wait to get it installed. We received the wrong faucet but Overstock made it easy to return and immediately shipped the correct one. I do recommend this item. Have not installed this yet, but can't wait to install in new powder room at beach. 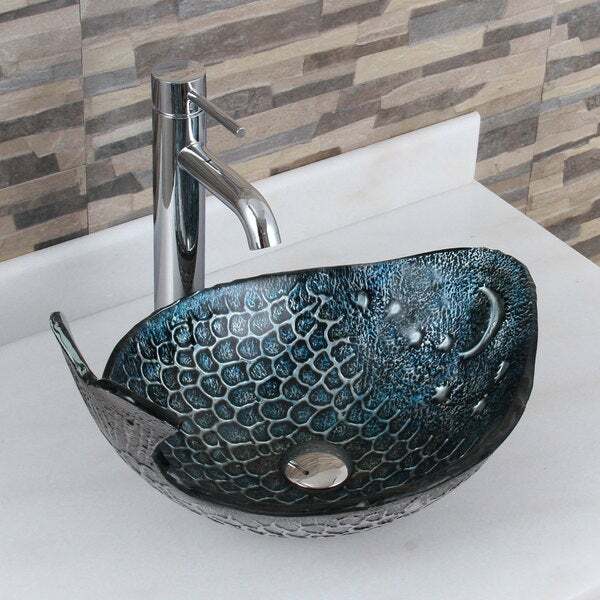 It is beautiful, and quality of both sink and faucet is great. I ordered this combo after contemplating for quite some time. The value seemed good and even if the faucet was not very expensive, I could replace at a later date. Well, I ordered it and it came faster than they told me. 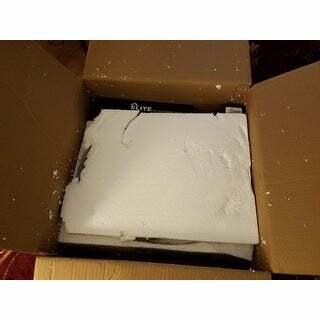 Packaging was very nice and the sink and components come in a nice protective cloth bag to prevent scratching. I haven't received the top for my vanity so it hasn't been installed. I feel confident that it will look great and be an excellent conversation piece. It is for a cabana bathroom (1/2 bath). 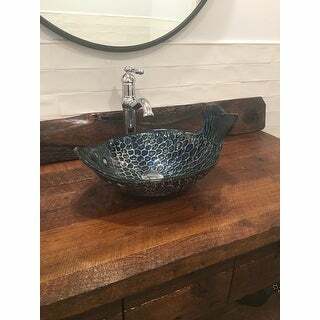 This was my first purchase from overstock.com and I have already completed another purchase for my guest bathroom. 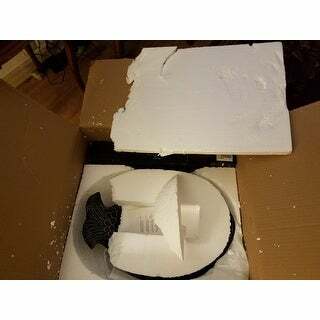 Customer service was very helpful with all of my questions prior to purchasing. I am very pleased so far. The photo does not do this sink justice. The color is beautiful and the shape is unique. I have had many compliments on this sink. Great price, quick shipping, arrived in perfect shape and great price. High quality. Lovely sink. Added a fun touch to our powder room. This bowl sink is so pretty with silvers and blue tones. I like that there is texture to the under side. I'm putting it in the kitchen bathroom of a coastal home. It is sure to be the show piece! I just love this sink! I installed in the half bath of my Pacific Ocean beachfront house and everyone raves about it! What a darling sink! Everyone who sees it falls in love. It is perfect for small bathrooms and adds fun and character to any space! Beautiful and can't wait to install! Beautiful heavy whale cant wait to install it. "What color is the underside?"